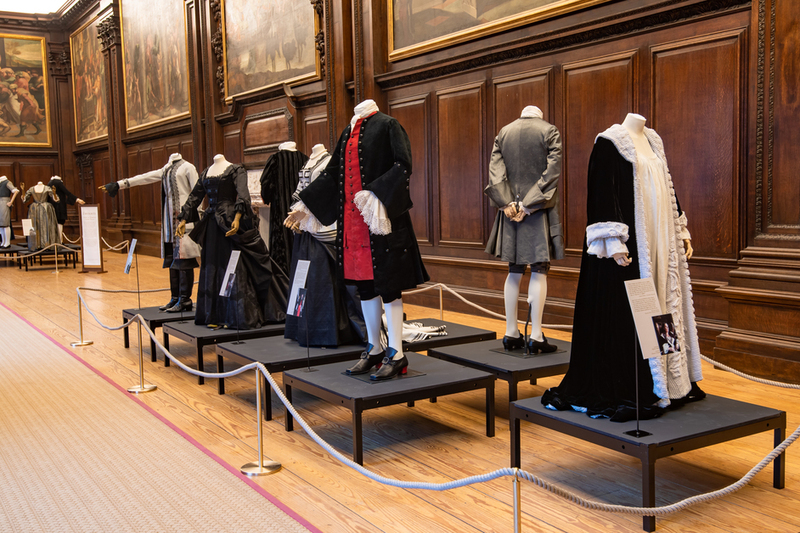 Hampton Court Palace was one of the filming locations so it's only appropriate that the venue hosts a new exhibition showing the costumes used in Oscar-tipped film The Favourite. The Costume Display exhibition will provide the chance to see Lady Sarah Churchill's striking black ball gown and her more masculine riding outfit; Abigail Hill's lady in waiting dress and denim maid's outfit; and Queen Anne's simple nightgown, in which Olivia Colman performed some of The Favourite's most emotive scenes. All costumes were designed by three-time Oscar-winning costume designer Sandy Powell. Visitors will also be able to see The Cartoon Gallery, Fountain Court and Henry VIII's Kitchens, all of which were used for the filming of key scenes. What are the best dining options near The Favourite Costume Display London? The Favourite Costume Display gyms, sporting activities, health & beauty and fitness. The best pubs near London The Favourite Costume Display. The Favourite Costume Display clubs, bars, cabaret nights, casinos and interesting nightlife. Where to have your meeting, conference, exhibition, private dining or training course near The Favourite Costume Display. The rhythm'n'blues pianist is accompanied by his 20-piece orchestra. The long-established group of siblings from Gary, Indiana, bring their pop and soul hits to the UK's stages. James Bourne, Matt Willis and Charlie Simpson reunite to perform this infectious punk-pop hits, including Year 3000 and What I Go To School For. The legendary outfit playing the late 70's sounds of funk, soul and disco return to the stage with the acclaimed guitarist leading the way. Pop-rock outfit comprising Roland Orzabal and Curt Smith, who rose to prominence during the new wave movement in the 1980s. The Australian superstar performs classic pop from her back catalogue and latest album, Golden. Musical theatre star Michael Ball and tenor Alfie Boe reunite to perform a range of songs, followed by a spectacular fireworks finale. From cheap budget hotels to luxury 5 star suites see our discounts for Hampton Court Palace hotels, including DoubleTree by Hilton Hotel London - Chelsea from 69% off.